C. Bell and N. Haites, The Peripheral Neuropathies and Their Molecular Genetics. M.A. Brown, Tumor Suppressor Genes and Human Cancer. P. Hutter, Genetics of HybridInviability in Drosophila. D.J. Westenberg and M.L. 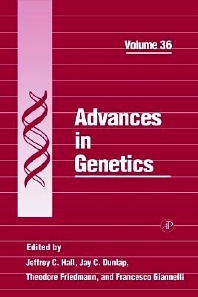 Guerinot, Regulation of Bacterial Gene Expression. D.D. Perkins, Chromosomes Rearrangements in Neurospora and Other Filamentous Fungi. Subject Index. Graduate students and researchers in all facets of genetics: molecular, cell, and developmental biology, as well as human genetic medicine. United Medical and Dental Schools of Guy’s and St. Thomas’ Hospitals, London, U.K.